Are you short in space? Don’t worry; we have something worth considering. 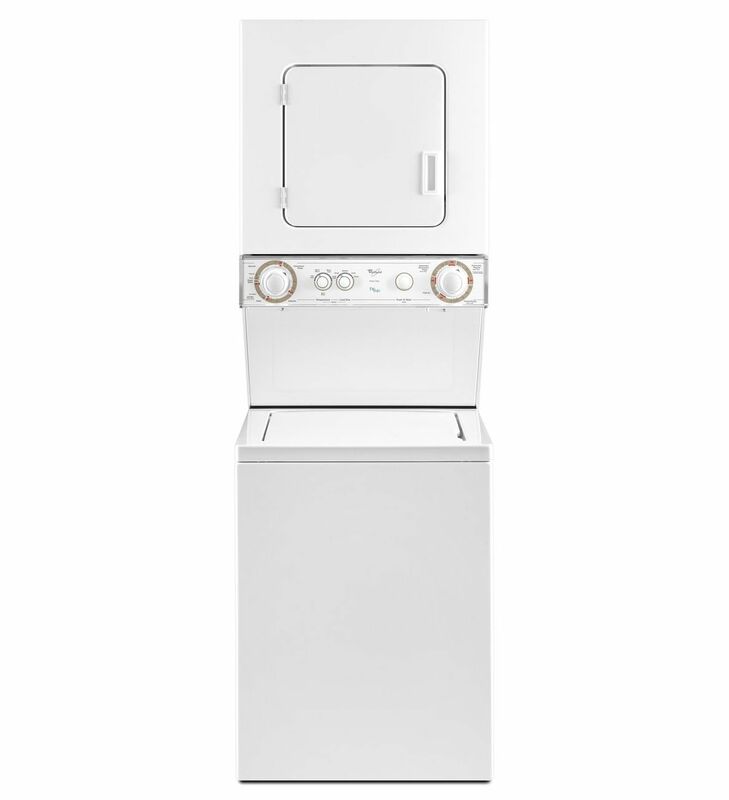 Okay, this stackable washer and dryer may has a small capacity – 1.5 cu. ft. for the washer and 3.4 cu. ft. for the dryer, which is the main reason why it’s not ranked in our top 12. It’s not Energy-Star certified and lacks a moisture sensor, which means it can’t prevent overdrying. 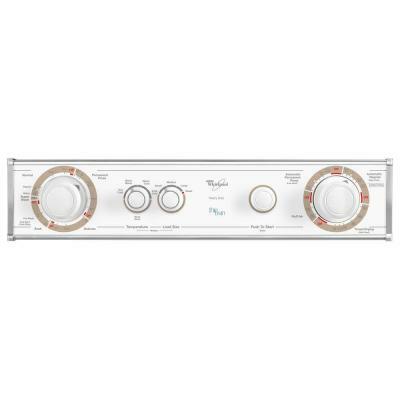 Other than that, users are generally satisfied with this appliance: it’s reliable, it fits great in a small closet, and it does its performance great. Capacity (cu.ft. ): Washer Capacity: 1.5 cu. ft; Dryer Capacity: 3.4 cu. ft.
End-of-cycle signal – load your laundry and you’re free! 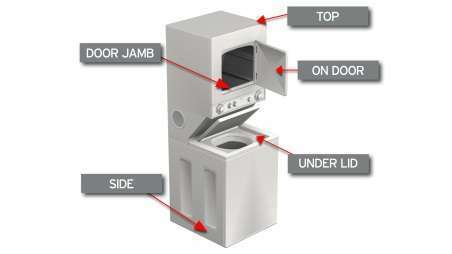 Once the dryer cycle is finished, the end-of-cycle signal will alert you. 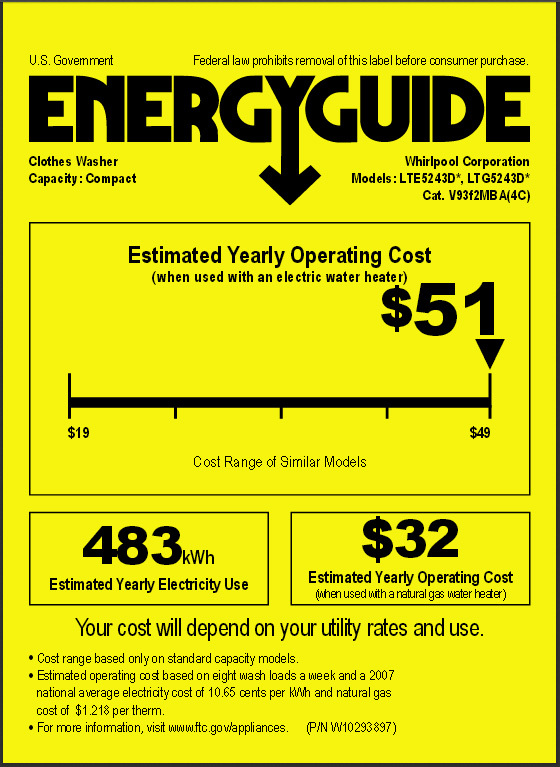 Automatic Dry-Miser™ Control – takes the guesswork out of drying. You can choose from less dry to very dry and the cycle will sense the exhaust air temperature and will shut the unit off once the selected dryness is reached. Surgilator® Agitator – creates a continuous rollover action, providing a thorough cleaning. DuraWhite™ Interior – moisture resistant, mildew proof finish. Side-Swing Door – you can change your door swing from a left-side opening to a right-side opening. 3 water level selections, 5 wash/spin speed combinations, 4 wash/rinse temperature combinations. Easy to clean lint filter. Dry Programs: 18 programs, including regular, delicate and tumble press. Wash/Rinse Temps: Four temperatures: Hot/Cold, Warm/Warm, Warm/Cold, Cold/Cold. Options: Auto Regular, Auto Permanent Press, Timed Drying, Tumble Press, Fluff Air, Push-to-Start Button, End-of-Cycle Signal. Unfortunately, I couldn’t find a video review for this model. Washes and dries clothes pretty well. Gentle wash system – your clothes will look as good as new. Variety of settings to choose from. 3 water levels so that you can select the right level for the size of the load, without wasting too much water. It looks a little outdated when compared to today’s modern combos. no bleach and no fabric softener dispenser. Conclusion: This is a great solution for a small laundry space. It provides flexible options, but not so rich capacity. 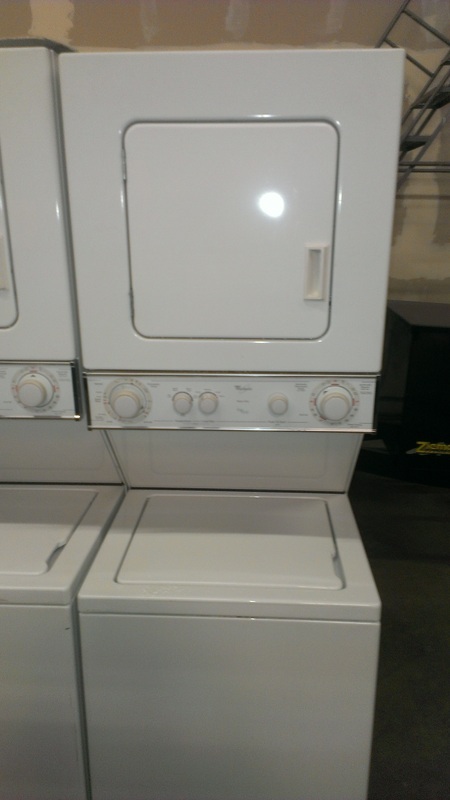 Owners like this unit’s compactness since it does a great job washing and drying clothes. It saves you everyday trips to the laundromat, but the capacity won’t let you wash large items. We read a few comments that indicate that this unit becomes unbalanced, causing several problems. 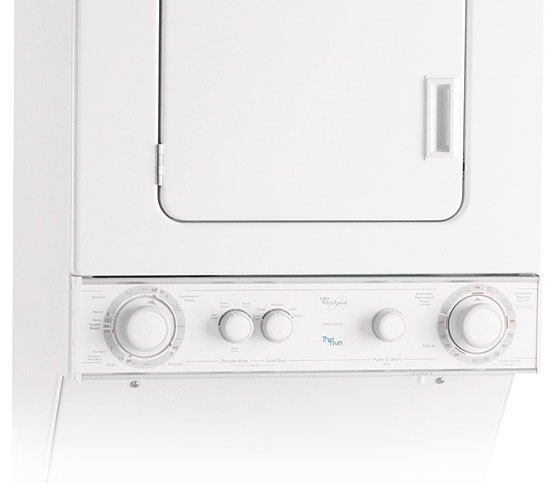 If you need a large capacity unit, this Whirlpool model is not for you – some units can even hold twice as much laundry.